Effective May 11, 2016, Nebraska adopted a new exemption from the State’s investment adviser registration requirements which, subject to certain conditions, excludes advisers to private funds from the definition of investment adviser. Prior to the adoption of the new private fund adviser exemption, all Nebraska-based investment advisers, including those that advised only private funds, were required to register as an investment adviser with the Nebraska Department of Banking and Finance (‘NDBF’) (or, with respect to large advisers, with the Securities and Exchange Commission (‘SEC’)). Registration as an investment adviser with the NDBF requires the filing of a Form ADV and subjects the registered investment adviser to periodic compliance examinations, as well as comprehensive record keeping and policy and procedure requirements. In addition, investment adviser representatives (i.e., individuals who perform advisory services) of NDBF registered investment advisers are required to register with the NDBF and satisfy certain examination or designation requirements. In our experience, these regulatory requirements have greatly increased the compliance time and costs for existing Nebraska-based investment advisory firms, and have kept potential Nebraska‑based investment advisory firms from sponsoring private funds, which has reduced access to capital for Nebraska-based companies and has frustrated capital formation in the State. Moreover, in our view, Nebraska’s investment adviser rules and regulations are primarily intended for advisers of traditional managed accounts (e.g., retirement accounts) and the NDBF’s resources are better used overseeing these types of accounts instead of the accounts of high‑net‑worth private fund investors. The new private fund adviser exemption is intended to address these issues by relieving Nebraska-based private fund advisers, and the individuals employed by or associated with Nebraska-based private fund advisers, of these regulatory burdens. General. Subject to certain conditions, Nebraska’s new private fund adviser exemption excludes from registration those investment advisers that provide investment advice solely to one or more qualifying private funds. Filing Requirements. To qualify for the private fund adviser exemption, the investment adviser must file with the NDBF the “exempt registered adviser” filing (‘ERA filing’) required to be filed with the SEC under SEC Rule 204-4. The ERA filing is a short-form version of the Form ADV. “Bad Actor” Disqualification Provisions. The private fund adviser exemption incorporates from SEC Rule 506(d)(1) a series of “bad actor” disqualifiers that make the exemption unavailable if the private fund adviser or any of its advisory affiliates have been subject to, among other things, convictions, certain judgments, enforcement orders, or injunctions involving fraud in connection with the purchase or sale of securities. All of the private fund’s investors must be “qualified clients” under SEC Rule 205-3. The adviser must satisfy additional investor disclosure requirements. The adviser must obtain an annual audit for each such private fund. Note, the foregoing additional requirements do not apply to private fund advisers that advise only venture capital funds. Current Nebraska Registered Investment Advisers. Advisers that are currently registered with the NDBF, and that advise private funds, should consult with counsel to determine if they may be eligible for the new private fund exemption. Investment Adviser Representatives of Nebraska Registered Investment Advisers. Individuals who are employed by or associated with a private fund adviser that is eligible for the new private fund exemption are exempt from registering as investment adviser representatives with the NDBF. These individuals do not have to comply with the examination or designation requirements, such as passing the Series 65 examination or holding a Certified Financial Planner designation, that are applicable to Nebraska registered investment adviser representatives. SEC Registered Investment Advisers. Advisers that are currently required to be registered with the SEC are not eligible to rely on Nebraska’s private fund adviser exemption and must maintain their SEC registration. These advisers will continue to be exempt from registering with the NDBF, since they qualify as a “federal covered adviser”. New Investment Advisers. Nebraska-based firms or individuals that are considering sponsoring and advising private funds can now do so as an exempt registering adviser, which involves much less regulatory compliance, testing, and costs than full registration. We believe that Nebraska’s new private fund adviser exemption modernizes Nebraska’s securities regulations, reduces regulatory burdens, and facilitates capital formation in Nebraska. We anticipate that this will be particularly helpful to Nebraska-based start-up and early-stage companies as it will allow these companies greater access to needed growth capital. 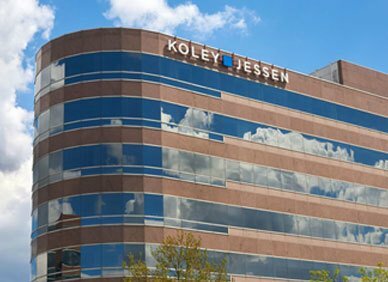 † Jeff and Dan are Shareholders in the M&A/Securities practice group at Koley Jessen P.C., L.L.O. Their practices include advising private funds and their sponsors, as well as start-up and early stage companies. In concert with a venture capital fund client, Dan proposed the new private fund adviser exemption to the Nebraska Department of Banking and Finance and testified in support of the new exemption at a January 7, 2016, hearing. Private funds are investment partnerships that would be registered investment companies under the Investment Company Act of 1940 if not for an exemption therefrom, and include venture capital funds that invest in start-up and early-stage companies, private equity funds that invest in more developed private companies, certain real estate funds, and hedge and other private funds that invest in public companies. Generally, Nebraska-based investment advisers with at least $110 million in assets under management (‘AUM’) are required to register with the SEC rather than the NDBF, unless the adviser advises only private funds, in which case, the adviser can remain registered with the NDBF, rather than the SEC, until it reaches $150 million in AUM. A qualifying private fund is defined by SEC Rule Rule 203(m)-1 and is any private fund that is not registered with the SEC under the Investment Company Act of 1940 and has not elected to be treated as a business development company under the Investment Company Act. This includes funds that are excluded from the definition of investment company by Section 3(c)(1) of the Investment Company Act because they have fewer than 100 beneficial owners of their securities (the ‘3(c)(1) exemption’) or by Section 3(c)(7) of the Investment Company Act because all the owners of their securities are qualified purchasers (the ‘3(c)(7) exemption’). Venture capital, private equity, and hedge funds typically rely on the 3(c)(1) exemption or the 3(c)(7) exemption and would, in most cases, be qualifying private funds. In general, “qualified clients” are individuals with a net worth in excess of $2 million or that have at least $1 million under management with the investment adviser. A “venture capital fund” means a private fund that meets the definition of a venture capital fund in SEC Rule 203(l)-1. A venture capital fund is generally defined as a fund that pursues a traditional venture capital strategy (e.g., non-leveraged equity investments in private companies); however, there are many technical requirements that should be carefully reviewed with counsel.